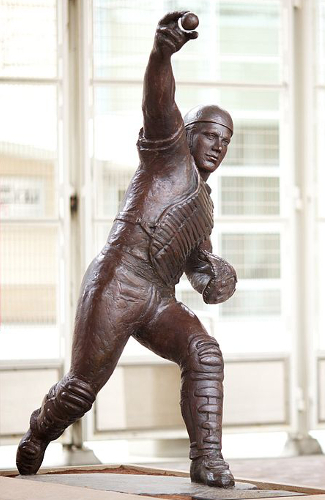 Image above: Johnny Bench statue at Great American Ball Park. Sponsor this page for $50 per year or all Best Postseason Decade pages for $250. Your banner or text ad can fill the space above. Click here to Sponsor the page and see how to reserve your ad. Photo Credits: Archive images, Library of Congress. 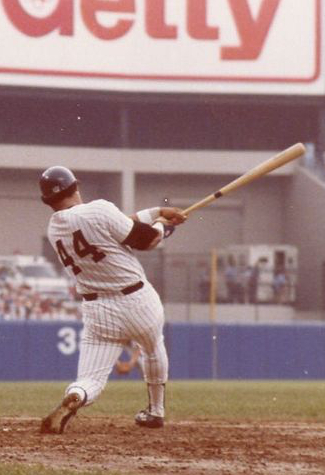 Johnny Bench, Reggie Jackson, Willie Stargell; Wikipedia Commons. Note: There have been 3 different eras for postseason baseball in baseball history. Pre-1900, with single postseason series in 1884-1890, 1892. World Series only between the National League and the American League from 1903-1968. From 1969 through today, multiple rounds of postseason, including the World Series, all years, except 1994. Each postseason, no matter the amount of rounds is graded as a whole, scoring each category per the era and season. Note: Postseason PEVA represent 10% of the value given to the Regular Season PEVA value. Postseason Batting PEVA includes a Position Player Fielding Value as well as Batting Value. 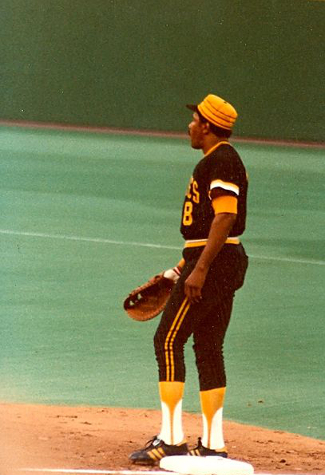 Get the best ever in baseball history all in one place. 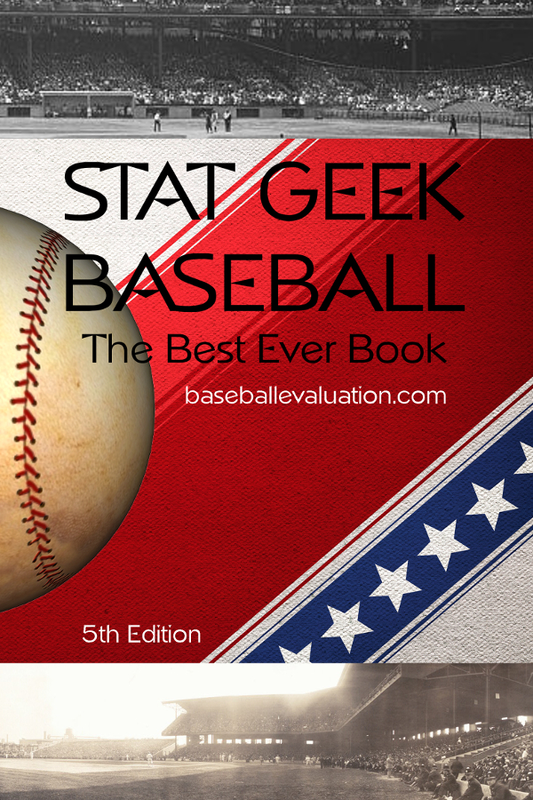 Stat Geek Baseball, the Best Ever Book includes best season and career data for all teams in baseball history, plus comprehensive lists of the best ever overall, too. Comes in easy to search ebook or paperback.